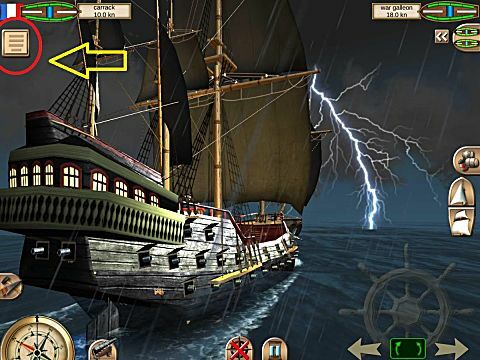 While HomeNetGames did not create The Pirate: Caribbean Hunt to be a true role-playing game, they have Captain Skills to modify your game play. 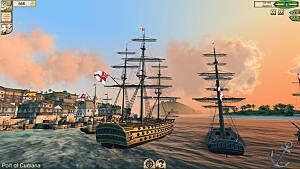 Every action in the game like sinking enemies, paying your crew, constructing new buildings, etc. adds to your Reputation. Every time you earn enough reputation, you get a Captain Skill point which can be used to unlock new abilities. 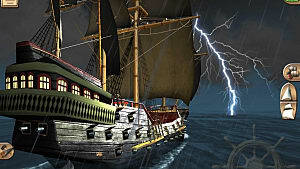 The Pirate: Caribbean Hunt is Free to Play (F2P) on Steam, though you can buy gold, ships, as well as skill points. But, the game is NOT Pay to Win (P2W) since you can complete it and compete without purchases. To update or reset your Captain Skills, click the Main Menu in the upper left. Also, if you've earned enough Reputation points for a new skill, a Gem will appear in the upper-left to inform you that there are points available. 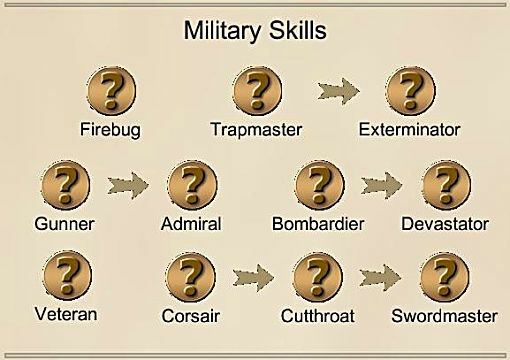 These abilities improve your skills in battle either in ship-to-ship combat or during boarding attacks. 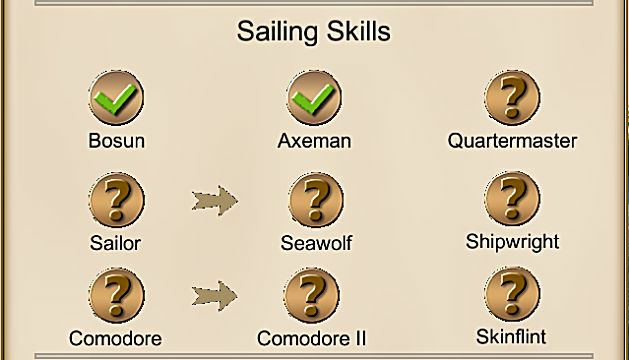 The first recommended skill is Corsair, since you can't capture ships without it. 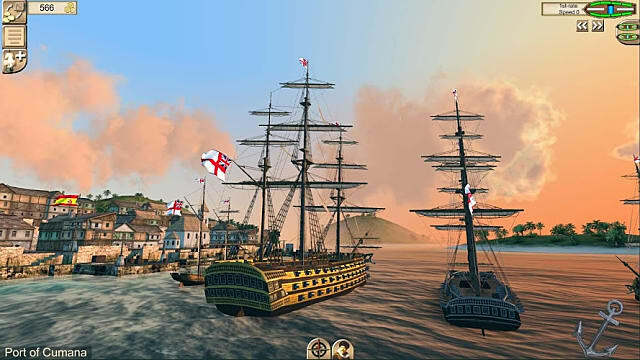 Gunner and Admiral will initially help your ship-to-ship combat. You will only need Mortar skills (Bombardier and Devastator) when you attack forts and towns, so you won't need them right away. Being able to use Traps or Oil Barrels will come in handy later as your enemies grow more powerful. These abilities affect how you maneuver and repair your ships as well as handle your fleets. Commodore 2 - Command up to 4 ships. My recommendation is pick up the repair skills first; Axeman, then Bosun and finally Quartermaster to be able to fix things without needing to port. Later as you build up your ships and fleets, you should add Shipwright and you will need Commodore to take on bigger enemies. A pirate in this game is more than just a sailing man who robs ships. You also have business to attend to and these abilities help you make the most out of your gold. Ferryman - Adds the option to carry passengers for extra money and risk. Smuggler - Adds the option to carry illegal cargo for extra money and risk. Gambler - Opens the Dice Poker game. Merchant - Decrease purchase prices by 1 gold coin. 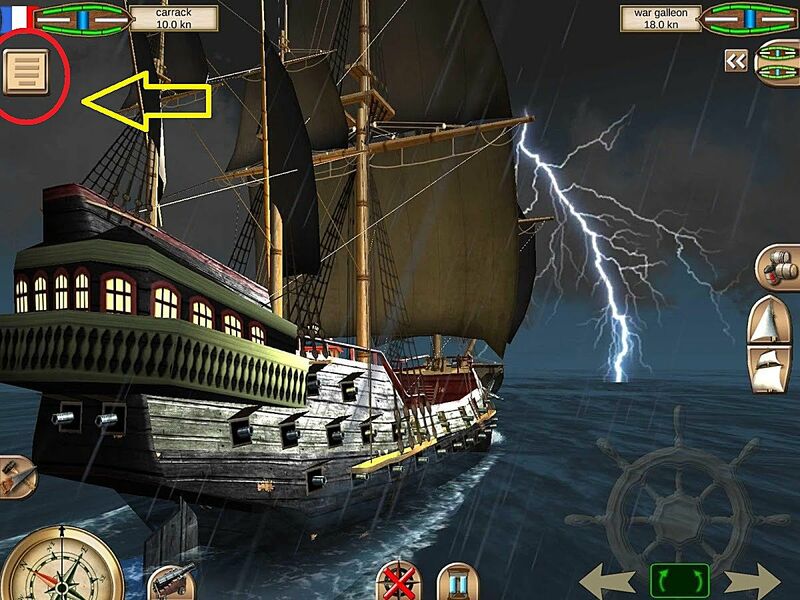 Trader - Increase your cargo's selling price by 1 gold coin. Haggler - Increase your ship's selling price by 20%. Mayor - Lower building construction costs by 25%. Governor - Increase maximum building upgrade from 3 to 5. Duke - Increase maximum building upgrade from 5 to 6. 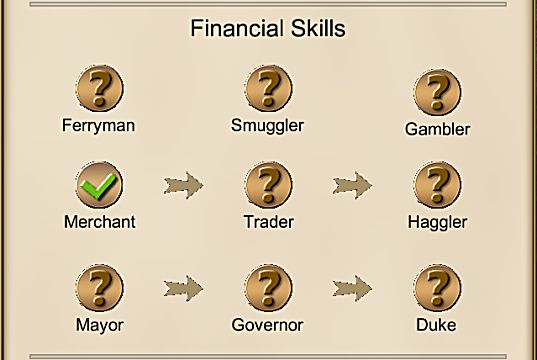 Early on the Cargo skills (Merchant, Trader and Haggler) will be good to earn you better returns on your wares. Add Ferryman and Smuggler later once you have a strong enough force to fight off other pirates and patrol ships. The town skills (Mayor, Governor and Duke) will come in handy once you've established your settlement and are investing more heavily. What Skills do you use to improve your pirating? What skills do you think HomeNetGames should add?